Becoming a member or donating to the Kensington Conservancy is a great way to help protect the natural areas in the Desbarats area. 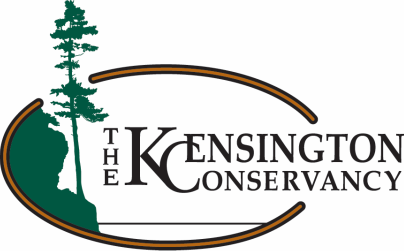 For as little as $35.00 a year, you can become a Kensington Conservancy member and help support local conservation. Additional donations above the membership dues are greatly appreciated and will greatly help us to continue to steward the land in the Desbarats area. TKC has become a vibrant community because you and many others have cared enough about TKC’s mission to lend your support and participate in our efforts. Together, we are able to do important work to preserve land and water, to educate present and future conservation stewards, and to ensure we’re ready for future challenges. We can do all of this because you’ve stepped up and become involved. The water flowing out of Stobie Creek is cleaner and its banks healthier because donors, TKC member volunteers, and our foundation and provincial partners lent their support and efforts to plant trees, build barrier fences, and put up “nose pumps” for the cattle. We still have much more to do upstream and we rely on your many forms of support to make that possible. The new TKC Conservation Centre has afforded us opportunities to learn about ways we all can contribute to protecting the beautiful surroundings we enjoy. It’s been a pleasure for my staff and I to let people know about all the ways they can enjoy being on TKC’s properties and how they can help in the important work necessary to keep those properties healthy and vibrant. Your support is key to keeping the lights on, the doors open, and allowing us to maintain a talented and dedicated staff. This fall saw the opening of the new trails on the Boyer Preserve that connect with the trails on the Foster Parklands and Walking Trails. The complex of trails affords many opportunities to hike and take in some gorgeous views of this area we all love so much. We always welcome our community on these properties and we rely on your financial support and volunteer efforts to make them as accessible and enjoyable as possible. Your support attracts the support of others. We take pride that we have a strong community of partners among Sault Ste. Marie area colleges, CASS, foundations, provincial and federal ministries, local municipalities, and other groups. Our partners have confidence in us because of your confidence in us as shown through your memberships, donations, and volunteer efforts. Thanks to your participation, young people are learning how to be good conservation stewards while having the time of their lives. By signing up your kids for our Junior Explorer programs, joining them to build bird houses, and helping them find and catalog all the creepy crawly things that they love, you are ensuring that the next generation can keep the work going that we’ve started. TKC is committed to being around for many generations to come. We have worked to make sure we have the reserve capacity we need to get us through the inevitable challenges that will come our way. We’ve been blessed that our Legacy Circle donors have allowed us this opportunity. Protected as we are, our reserves are no substitute for member support. TKC is sustainable because of your donations. We are committed to a bright future because you continue to be a committed part of our community. The water and land we cherish is healthier. Our bond to it is stronger. We are working together on our shared goals and passion about conservation more effectively than ever. Please make a gift this year to keep this momentum going. ALL gifts matter, please give what you are able to give. EVERY gift makes an important, positive difference.